3 P.M. Glance at the flashy displays of diamonds in the windows of Graff, Leviev and Chopard as you stroll down Madison Avenue, turning onto 59th Street. 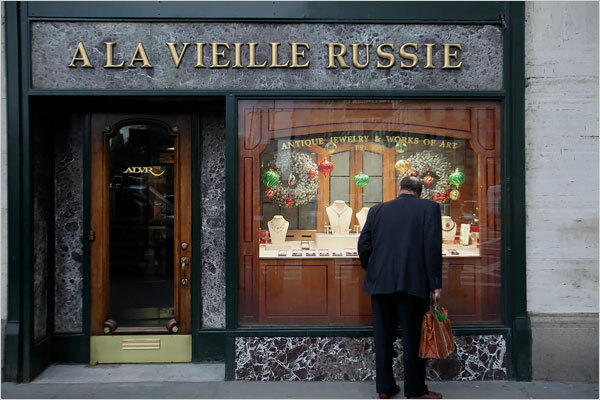 At the corner is À La Vieille Russie, a fifth-generation antique jewelry and art dealership, 781 Fifth Avenue, (212) 752-1727. 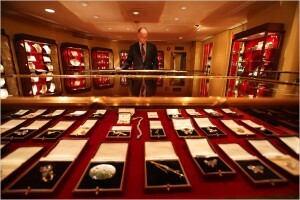 The shop specializes in ornate snuffboxes, works by Fabergé (theirs is the world’s largest collection) and rare jewels. Mark A. Schaffer, the director and an appraiser on “Antiques Roadshow,” is happy to chat. “I love to have people come in and understand a little bit about these beautiful things,” he said.